This hotel won the Travellers' Choice Award, the highest award bestowed by the world’s leading review website. This annual award reflects "the best of the best" for service, quality, and customer satisfaction from hotels & accommodations. Just for you: A short lake cruise on Lake Windermere. 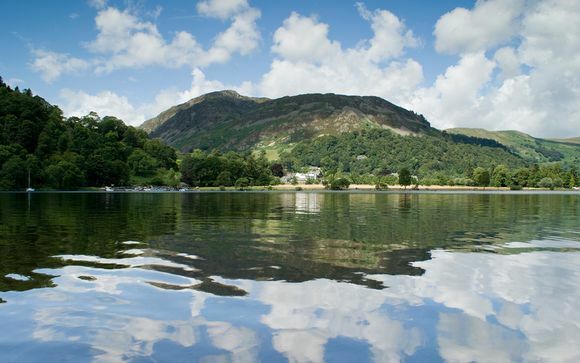 From 16 sparkling lakes and England ’s highest mountains to sheltered valleys, heather moorlands and salty seascapes, Cumbria and the Lake District have inspired and captivated generations of visitors and famous writers and poets such as William Wordsworth and Beatrix Potter. But there’s more to see than just scenery. The area has a rich heritage to discover, a vibrant and contemporary cultural scene, and a growing reputation for fine food and drink. And on top of all this, there is a huge choice of tourist activities in some of the greatest 'Great Outdoors' in the world. 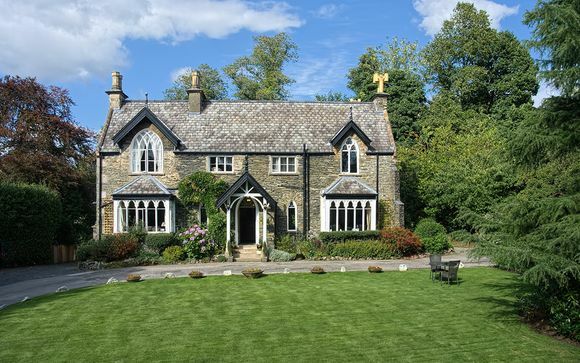 Welcome to Cedar Manor, a boutique hotel in Windermere, one of the most beautiful locations in the Lake District. Traditional styling with a twist of contemporary throughout is blended to perfection with a generous serving of exceptional hospitality. If you are looking for a luxury hotel for a weekend break or a romantic escape, or simply somewhere to relax, this could be the perfect place. Rest in one of the 10 beautiful hotel rooms, and dine in the quaint restaurant andexperience some exceptional hospitality. 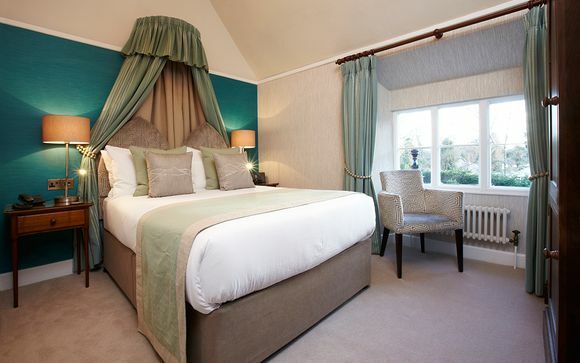 This offer is based on a stay in an Luxury Double Room. Just for you: A bottle of prosecco in your room upon arrival. Boutique and individual, the Executive Rooms at Cedar Manor boast enviable rooms and large plush king-size beds that make it hard to leave these stylish and charming rooms. Just for you: one 3 course dinner for 2 on the first night. Here your breakfast is a feast, with a fabulous Cumbrian grill, alongside local specialties, like locally smoked haddock with hollandaise and a perfectly poached egg, which are all cooked to order. Choose from a plethora of choices: from fresh fruit juice, cereals, croissants & Danish pastries to fruit compote & prunes (that have been infused in brandy & Earl Grey tea), yoghurts, and homemade jams and marmalades or honey with wholemeal or white toast...there's so much choice! Featuring examples local arts, crafts and jewellery, the hotel's lounge come bar is the ideal place to relax in. Pick up a guide book and research your walks, drives and exploration in the Lakes, or just unwind at any time of the day. The Lake District is also known for Damson Gin so it comes as no surprise that the hotel's bar boasts a healthy amount of it in its cellars from Cowmire Hall. Gin production doesn’t stop here, they also stock Langtons, Bedrock, Lakes Gin’s, all from the North Lakes, and even the Vodka is distilled from Lake District spring water, you will find Lakes Vodka and Standing Stones Vodka in the bar. And finally the highlight of this hotel: the restaurant. 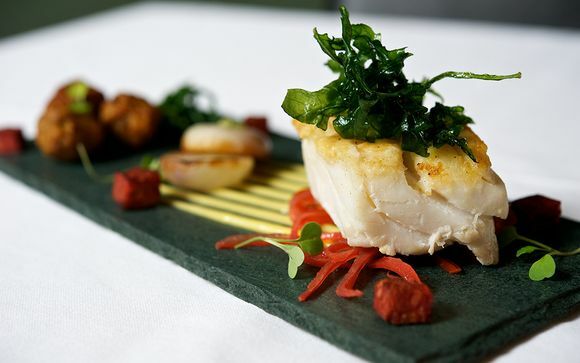 Ideally placed just a short walk from Windermere this restaurant offers fine dining and an award-winning service. Here they are very proud of the a AA Rosette which they wholly deserve with their dedication to quality, seasonality and local sourcing of ingredients.